Voice Broadcasting Service Information About Database Systems Corp. 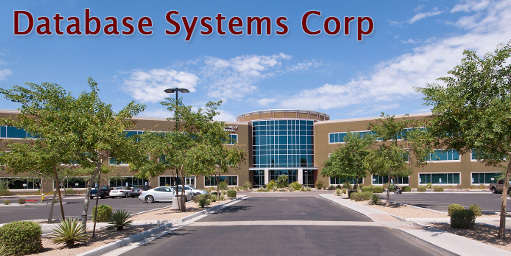 Database Systems Corp. (DSC) is a privately held U.S. corporation that is headquartered in Phoenix, Arizona. Since 1978, we have been providing computer software products and computer telephony systems for a wide variety of industries and government organizations. DSC also is a leading provider of autodialers and voice broadcasting technology products. DSC provides voice broadcasting systems and voice broadcast outsourcing services. These systems and services include computer telephony integration products, customer relationship management software, automatic call distribution systems, interactive voice response programs, emergency phone dialers, etc. Database Systems Corp. also provides consulting services relating to our voice broadcast products including in-house and on-site training, customer support and maintenance, and customized development. DSC provides the PACER and WIZARD call center phone systems which provide full call center telephony features. Included in these phone systems are our award winning IVR and ACD software. Both commercial and community IVR systems and services are provided by our organization, along with our voice broadcasting phone solutions. If you would like additional information, please use our Contact Us form or give us a call.